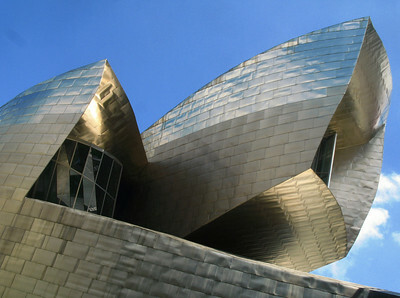 As part of a project I'm working on, visited the Guggenhim Museum in Bilbao, Spain as a reference to our project. 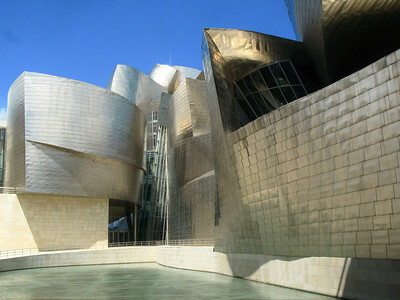 The building is designed by American architect Frank Gehry and completed in 2001. 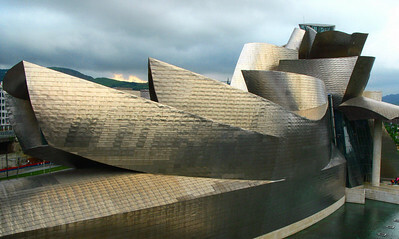 I have been meaning to visit it since it was built and finally had the opportunity to do so. I'd seen several beautiful photos of this building previously but none of them really did justice to seeing the building for real. 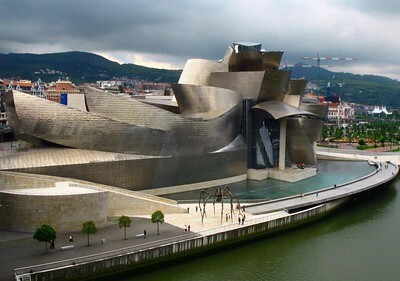 The building by far exceeded my expectations and found it a breathtaking piece of architecture which highlighted to me the extent at which civic buildings can positively impact cities. 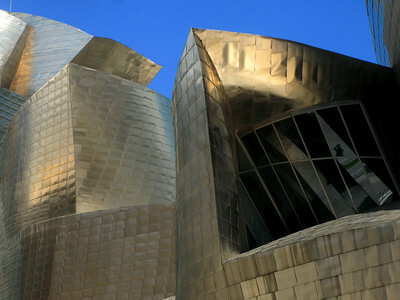 The titanium (metal) cladding (a Frank Gehry trademark) covering much of the external surfaces are 0.38mm thick and cost (at that time!) $2500 / sqm for materials and installation. 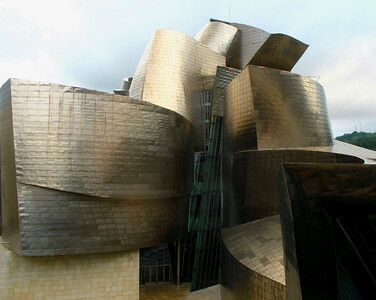 I tried to capture with my own photos some of the majesty and magic I experienced in Bilbao but thoroughly recommend any architecture / art lovers to visit this modern masterpiece for themselves. 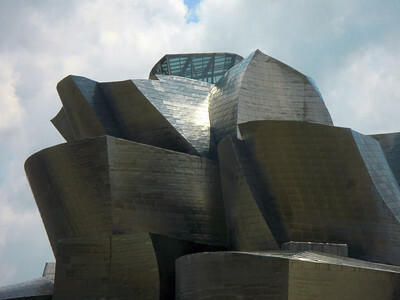 The Guggenheim Museum, Bilbao, designed by American architect Frank Gehry.